Help Celebrate the Center’s 50 Years of service – by Helping US help OTHERS! 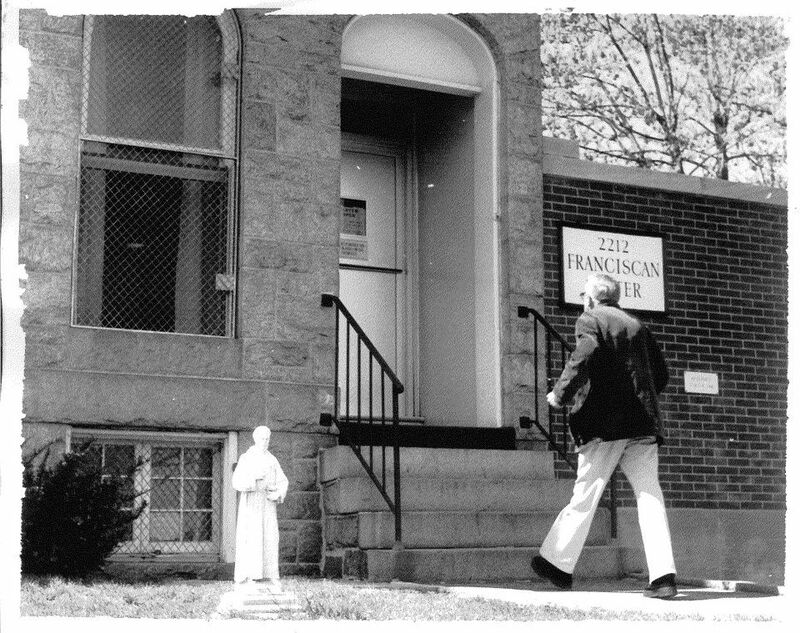 The Franciscan Center opened its door on September 10, 1968. In its first month operation, with a budget of just $200, the Center served 30 people with the dignity and respect that are the hallmarks of the Franciscan ministry. Today the Center serves as many as 700 men, women and children daily, five days a week throughout the year. Our programs operate as a “one-stop shop” for families and individuals in crisis from throughout Baltimore – and as you can imagine, this costs a great deal more each month than $200! What better way to recognize the Franciscan Center’s 50th birthday than to help us help our neighbors in need, by making a donation to support our work? Your support will make an important difference – and we will make every dollar count! Your donation of just $50 can buy the food for 20 hot, healthy meals! $100 can purchase 3 bags of emergency groceries or 4 Maryland I.D cards. For $1,000, you can help keep 5 families in their homes! Click below to make your 50th birthday donation, and help us raise critically-needed operating funds throughout the month of September. Your support can help change lives!